There are some pieces of music so powerful that their mood completely imposes itself on your situation, regardless of whatever feelings preceded it. Such a track is Portishead's "Roads". Whenever I listen to it, I instantly feel that I'm in some screen tragedy, a film noir where the streets are mean and glistening with rain, the skies are dark, and menace and doom stalk the unwary. This can happen even if I'm at home, the kids are quiet and the sun's shining. Every element is perfectly judged - Beth Gibbons' lonely, fractured vocal, the delicate wah-wah guitar, and, running like a pulse throughout, the gorgeous, throbbing organ (stop sniggering there at the back). The track cries out to be used in a soundtrack, which makes it slightly disappointing that it features on some rather duff films, notably Tank Girl (at least according to Wikipedia). 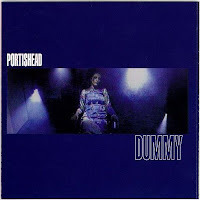 Portishead will of course continue to be lazily classed as trip hop (or trip-hop if you prefer), but "Roads" is a timeless, unclassifiable masterpiece.